Traditional jeans short colour denim. Fresh young styling. Five Pocket. 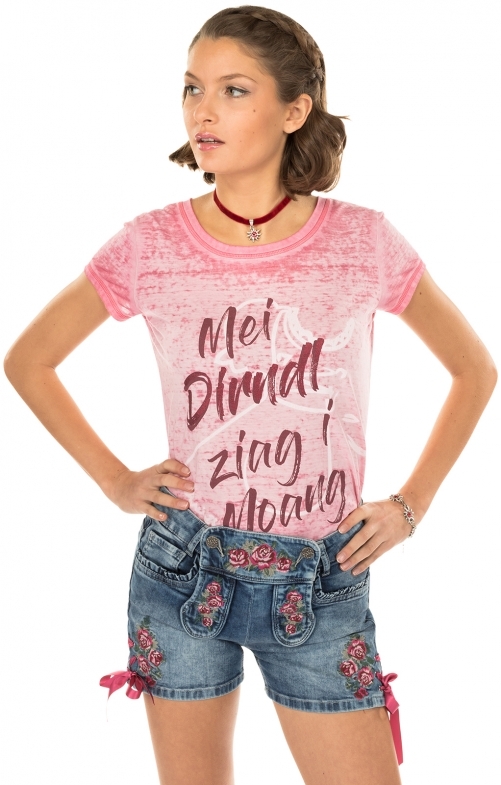 Actually classic denim but with the buttoned bib and the rose embroidery on the bib and thighs it is an expressive alternative to normal denim shorts and is a real eye-catcher. The touch of romance about the rose design is reinforced by the lateral ribbon lacing. Jaunty. Sweet. Failed. And of course with elastane. So stretchy and perfect in the fit. A must-have for theme events such as beer garden, Bavarian festival or the Oktoberfest.